Operant Subjectivity: Fit for Purpose? 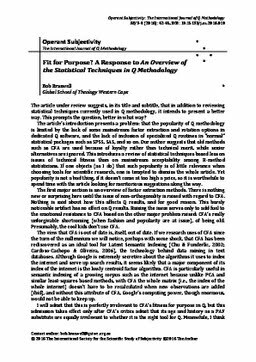 A Response to "An Overview of the Statistical Techniques in Q Methodology"
Fit for Purpose? A Response to "An Overview of the Statistical Techniques in Q Methodology"